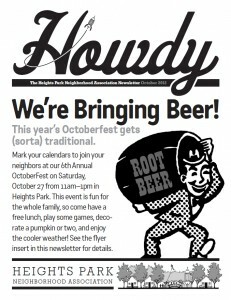 6th Annual Heights Park Oktoberfest This Weekend! OCTOBERFEST IS FUN FOR THE ENTIRE FAMILY. The Fall 2012 Newsletter is at the printer and heading to your doorstep soon. You can read it online here. 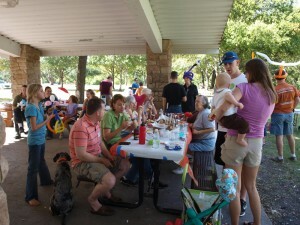 Don’t forget about the 6th Annual Heights Park Oktoberfest on Saturday, October 27, 2012 between 11AM and 1PM. This event is fun for the whole family, so come have a free lunch, play some games, decorate a pumpkin or two, and enjoy the cooler weather! See the flyer insert in the Fall 2012 HPNA newsletter.